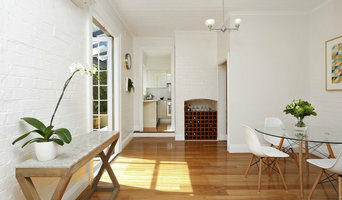 Bespoke Sydney Interior Designers. Best Of Houzz 2016 - 2018. Leigh Holt, Principle Designer has been creating interiors for more than 25 years. Leigh Holt offers a bespoke interior and exterior architectural design service. From custom residential and commercial design and with collaboration with developers and builders. 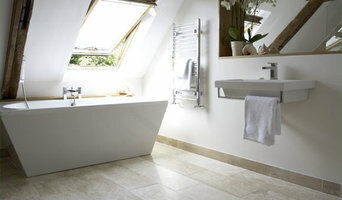 We develop timeless interiors that are elegant whilst still being flexible and functional. Interior projects are simple and luxurious, celebrating Leigh’s signature eclectic style and use of colour. With a passion for combining the rare and unusual, sourcing art, antiques, and custom designing many personal pieces, each home is specifically tailored to the life-style and desires of her client. Often delivered to turn-key level –from design drawings to chilled wine in the fridge– the MYP team pride themselves on attention to detail. Working closely with each client we are able to tailor our services to suit your individual requirements, ensuring that you receive personal attention on your project. With a commitment to quality, detail and the highest level of service. We believe that your home should be somewhere that makes you feel wonderful whilst still unique to you, resonating your own personal style. Carmen Parker Styling creates stylish interiors made for living. I believe function and practicality can also equal beauty and style, and I work closely with my clients to create spaces that balance the demands of daily family life, with the need for retreat from this busy world. Mohamed Miri is an interior designer with a long experience history from various countries. He works closely with his clients to help them finding their own special sense of place while bringing the unexpected to space designed to be used and loved. Anna Cottee Designs is an awarded, experienced and highly regarded interior design company servicing all areas of Sydney’s Upper and Lower North Shore and the Northern Beaches. We offer a full interior design service from concept to completion and are committed to not only fulfilling, but exceeding a client's highest expectations regardless of budget or project size. Anna is a recognized Interior Designer specializing in Interior styling and decorating, home remodelling and renovations, project management, landscaping and home staging for sale. Anna provides affordable and professional advice at a flat rate for anyone seeking help in maximising the potential and value of their home. She can transform any room based on your individual style and personality while injecting a unique eclectic vibe that is her signature trademark. Her main focus points are client satisfaction, budget monitoring and schedules. She prides herself on always striving to deliver exceptional results on time and on budget. "Passionate about Design and Creating Spaces that People Love to Live In" We’re committed to creating unique interiors and design solutions that reflect our client’s personality, lifestyle and practical needs whilst working within budget and to agreed timeframes.